Do you stay for some days in Paris and look for ideas of good plans to visit ? Here are some ideas of best visits in Paris not to be missed! The Louvre Museum is undoubtedly one of the best museums of Paris to visit with its famous pyramid and its several permanent collections. The Musée d’Orsay is also an historical place for its architecture and its impressionists. The Eiffel Tower is the main historical monument. You can go upstairs and observe the beautiful view of the capital or eat in a restaurant in the center of the tower. The Cathedral of Notre-Dame de Paris in the 5th neighborhood is also a monument not to be missed. It is possible to visit it as well as the archaeological crypt on the square of Notre-Dame. Attention to long queues in summer! The Pantheon in the 5th neighborhood is also a beautiful place to visit for its architecture. The entrance costs 7.50 euros during the summer and is free from November to the end of March. 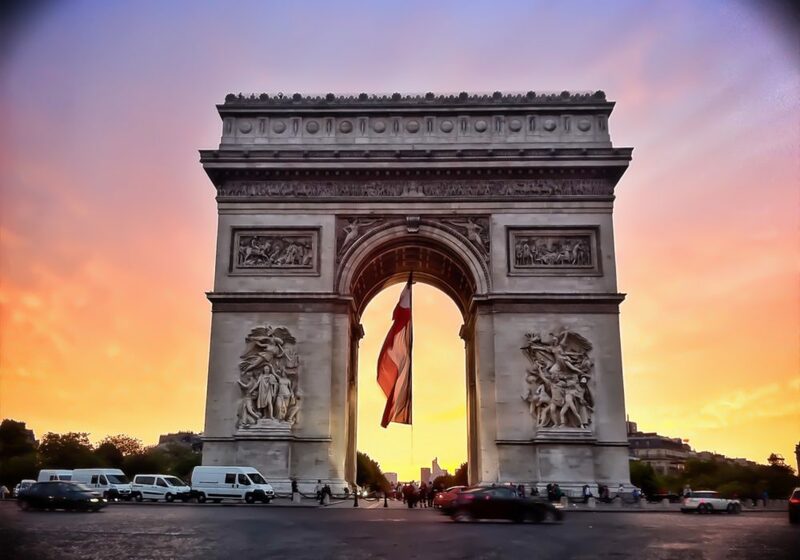 The Arc de Triomphe is one of the historical monuments not to be missed in the 8th neighborhood. You can go upstairs and observe the whole avenue of the Champs-Elysees. The Basilica of the Sacré-Coeur in Montmartre with its Roman and Byzantine style overlooks the city and offers a surprising view of the capital. The Père Lachaise cemetery in the 19th neighborhood is a peaceful and verdant place to recharge and walk among the tombs of various celebrities such as Jim Morrison, Edith Piaf or Balzac. The Avenue des Champs Elysees is the most beautiful avenue in Paris where you will find designe and luxury shops among French brands such as Zara or Promod. The islands L’Île de la Cité and L’Île Saint-Louis offer a romantic walk in the ancient Paris.